Bag is usually the first choice of many corporates when it comes to promotional gifts. 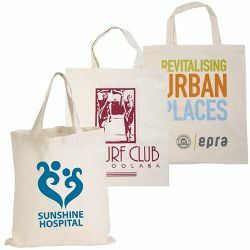 At WA PRINTING, we are the leading provider of double short handle cotton toe bags for a large number of businesses. Available in range of colors and styles, you can freely choose the most suitable ones to meet your needs. Let your customers always keep your brand name in their minds as naturally. For more information and advice from WA PRINTING service, please make a call to our offices in Perth and Midland, we are now present here to meet your demands.